Do you know what you want out of life? Do you struggle with finding a passion? I sure do. That is why I'm working on a 100 dreams project. 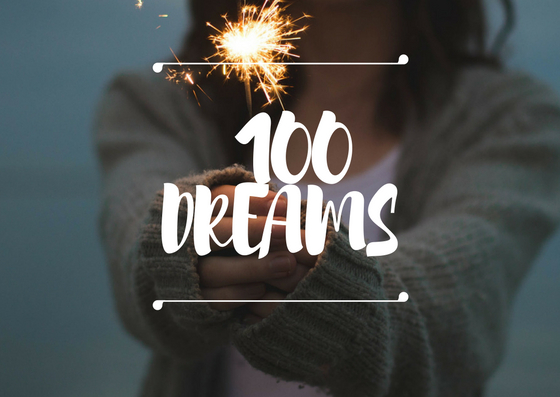 Each week I will write out 10 of my dreams and a little blurb on why it's a dream of mine. Doing this is really going to help me narrow down what it is I should be doing with my life because I'm in sort of a rut right now. They will help me lay out goals to reach these dreams and find my passion. Starting tomorrow, every Friday I will be looping in my 10 dreams with my Friday post. I am super excited to do this and I hope it will inspire some of you to do it too! I am also thinking about doing one week where I share dreams that have already come true. Maybe also some shared dreams that me and R share. This could really spark a lot of thought.